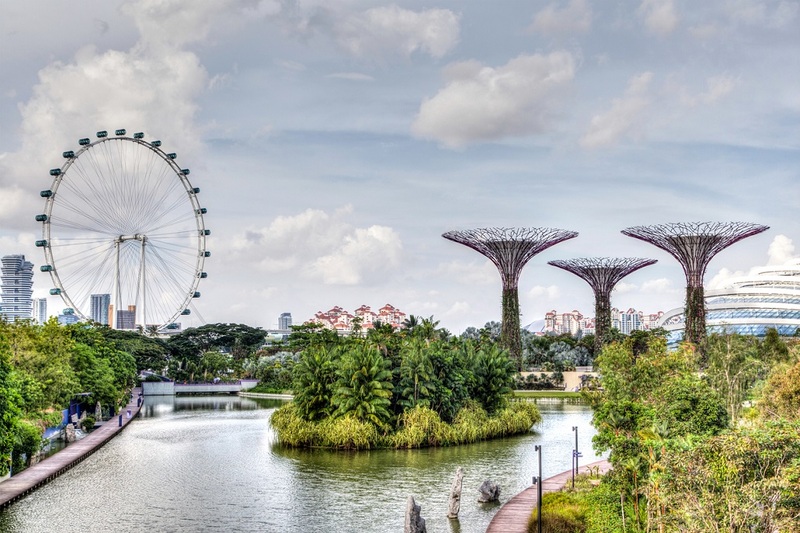 Home Topics of Interest Culture Vulture Singapore: 12 Why’s and What’s Of The Asian Country! Singapore: 12 Why’s and What’s Of The Asian Country! The ineffable beauty of Singapore made me realize there is much more in life than so many materialistic wishes and dreams! Even now Singapore is a four-ethnic country. Singapore does not have a separate or an original race by its origin. There were Chinese, Malays, Indians, Australians, etc. But to my surprise, none among them seem to have noticed that. 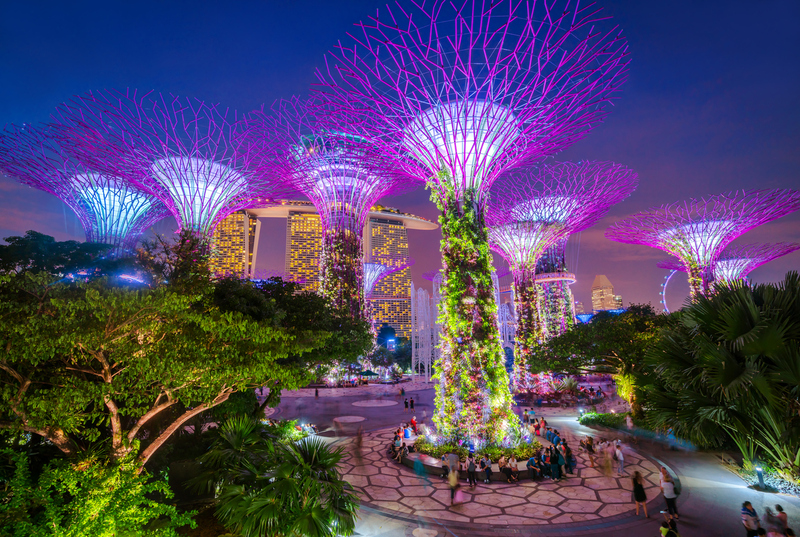 From shopping frenzy, delectable culinary delights, awe-inspiring museums, adventurous theme parks, exotic gardens – Singapore has you all covered. 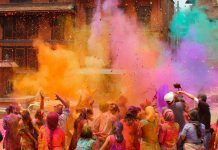 With thoroughly packed exciting- activity-happenings all across the country, Singapore knits an unrivalled bond with all the vibrant cultures of the world, thus being successful enough in drawing more visitors all throughout the world. 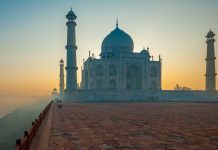 To remove your questionable attitude towards Singapore, leaving you without a trace of doubt as to whether the country’s worth your time, here is a list of this Asian country that is bound to blow your mind! Located next to Marina Reservoir, Gardens by the Bay offers breathtaking waterfront views. The large area is occupied by two main areas – Bay South Garden and Bay East Garden. You can’t miss the massive Supertrees here. The tree-shaped gardens are around 10 storeys tall. Walking on the suspended walkway between two Supertrees, you’re sure to enjoy a bird’s eye view of the gardens. At night the dancing lights and sound music, during a walk between the Supertrees will complete your trip! Away from normalcy, is the Cloud Forest. Within the fenced compound, a 35-metre tall mountain is veiled in mist and covered in lush vegetation near the waterfall. The plant life from tropical highlands up to 2,000 metres above sea level are distinctly seen here. Neatly trimmed. Well kept. Beautiful. This is Singapore’s oldest garden which is a treasure trove for plant lovers. It’s time to Discover Something New! The rainforest that sits almost in the middle of this extensive garden forming a gigantic green canopy. 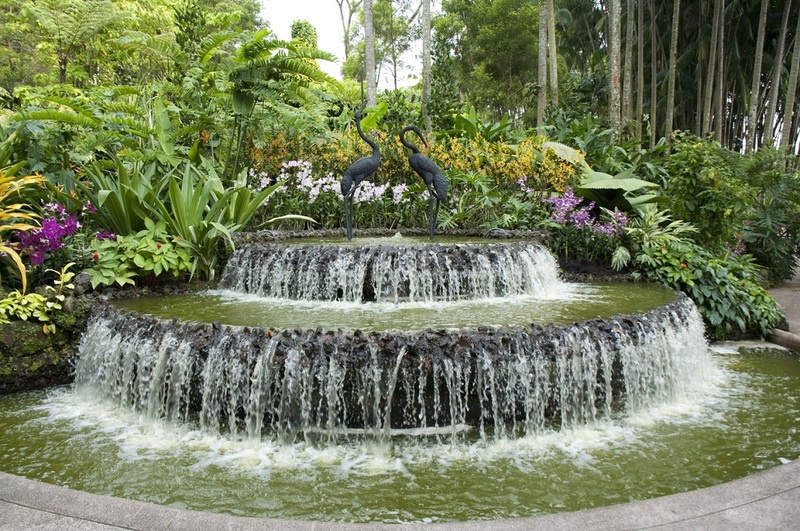 The heliconia walk & the ginger garden are special spots in the oasis of green in the heart of bustling Singapore is mesmerizing. Entry into the garden is free except for the Orchid Garden that has a minimal entry and is well worth it. Singapore wildlife is well heard of. Here you’ll get to see it all at once. 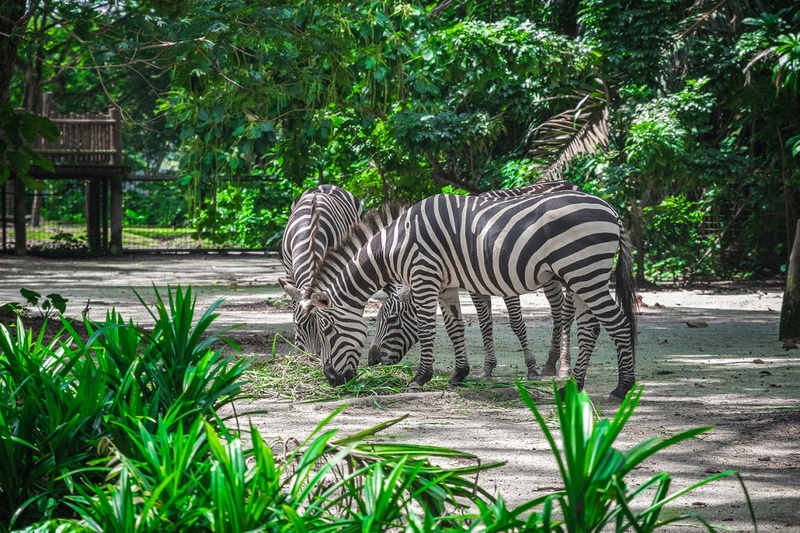 With White tigers, hippos, and even naked mole rats, the wildlife you see goes beyond the ‘cage walls’. Wows of wildlife is probably well protected from human reach in a small part of the zoo which is applause-worthy! Heading to the behind-the-scenes areas at Fragile Forest, Reptile Garden and Great Rift Valley of Ethiopian, the diversity is mind-blowing! The main highlight of the park is Rainforest Kidzworld, themed as an animal wonderland. Kids are bound to enjoy a never-ending list of super fun and creative activities such as feeding and petting goats or go on a pony ride. Here you can watch a dolphin show for half an hour. Being an extravaganza of lights and ballets, the water acts as the screen which is in the form of foam. Different coloured lights are spewed from all sides to play a 3D mega show. It overlooks not only the Lion City but even the surrounding islands of Indonesia and parts of Malaysia in all their glory, doing full justice in showcasing the mesmerizing landscape. Not only that, the other activities people can involve themselves in is savouring the iconic Singapore Sling whilst hosted in a specially themed capsule. Universal Studios globe, outside the entrance to the Universal Studios Singapore theme park at Resorts World Sentosa. Street food. Calm beaches. Bungee jumping. Universal Studios. CABLE CAR RIDE! Combining a mix of spiritual atmosphere with tourist rush full of selfie clicks and beer drinks, the island offers everything you seek as a traveller. Here are 3 best things you have to see in Sentosa Island! Huge. That’s the best word that can be used to describe it. 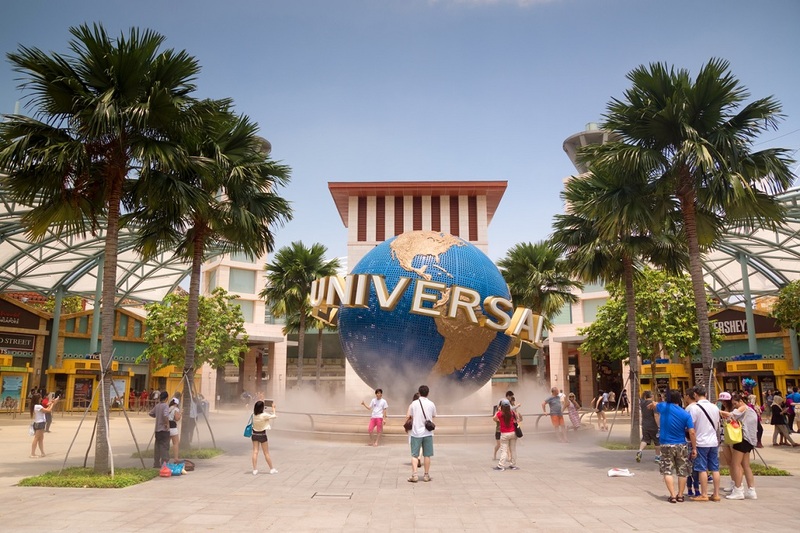 A large number of casinos, hotels, restaurants, food courts, shops, Trick Eye Museum and some of the biggest attractions on Sentosa Island – Universal Studios, Adventure Cove Waterpark, S.E.A. Aquarium and Dolphin Island – where you can meet super friendly dolphins, are all here! The Tiger Sky Tower is Singapore’s highest observatory tower rising 131 metres above sea level. The views are nothing less than spectacular, and sometimes views all the way to Malaysia and Indonesia greets you if you are extra lucky! The best part of the island is in the form of partly Jurassic world and fantasy Creatures of the netherworld too! Kids and adults alike will have one hell of a time here – so keep some extra time for this! Night safari is literally nocturnal. The park’s lighting has been specially designed to be only as bright as the full moon, and since animals are used to that, they are awake and active. Visitors have to find their way around with only the “light of the moon” as a guide, but if you have ever gone camping, you will know that it is adequate. As you might imagine, flash photography and flashlights are prohibited, not only for the well-being of the animals but for the safety of others. It can really mess with your eyesight. The food court has a traditional kampong (village) ambience, in keeping with the overall adventure theme you’d expect at a zoo. Most special diets can be accommodated because it has a nice variety of options, from tasty satays to noodle soups, fish and even burgers and beer. 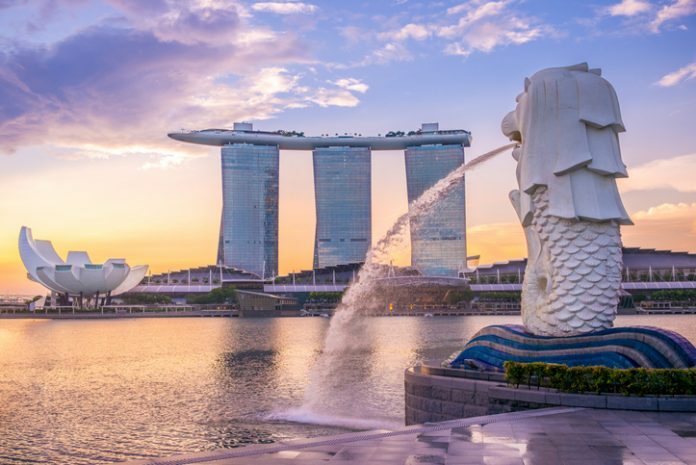 The images of Singapore’s national icon, the mythical Merlion with the head of a lion and the body of a fish is something most of us would’ve come across at least once in our lifetimes. Singapore’s humble beginnings as a fishing village when it was called Temasek, meaning ‘sea town’ in Old Javanese is symbolised by this statue. With water falling from it’s deceptive ‘mouth’, the Merlion statue stands tall and heavy at 8.6 metres and 70 tonnes. This icon is a ‘MUST-VISIT’ for tourists visiting Singapore, similar to other significant landmarks around the world. 7 statues or one – Confused? There are many of the same kind but the original sculpture and its cub are the most well-known among the seven approved Merlion statues in Singapore. If you are tight on time combine Marina Bay night show with a visit to the Merlion Park together. It will be well worth it! You could be a music fan, history buff, or even a wildlife enthusiast, this historic landmark on a hill is full of surprises. Consider this – a place in Singapore where Malay royalty once ruled in medieval times, where the British decided to surrender to the invading Japanese during the Second World War, and more recently, where some of the world’s biggest music acts played to screaming audiences. Now, look around the fort. Let it sink that this was the very park where it all started! Historically rich, there is also the Spice Garden, the ASEAN Sculpture Garden and Battle Box, a former underground military complex that was used in WWII. Everything you set your eyes upon has a history of war times and changing civilisations. Time saver – EXPLORE MORE! Located in the city centre, the hill leads down to the famous shopping belt of Orchard Road, while the National Museum sits just behind, accessible by an escalator. So plan well to cover all! You would not be surprised to see a largely authentic, unspoilt and rustic side of the island as it has been preserved well since forever including the surrounding wildlife. With time the villagers’ population is decreasing, presently standing at around just a hundred villagers living life at their own leisurely pace. 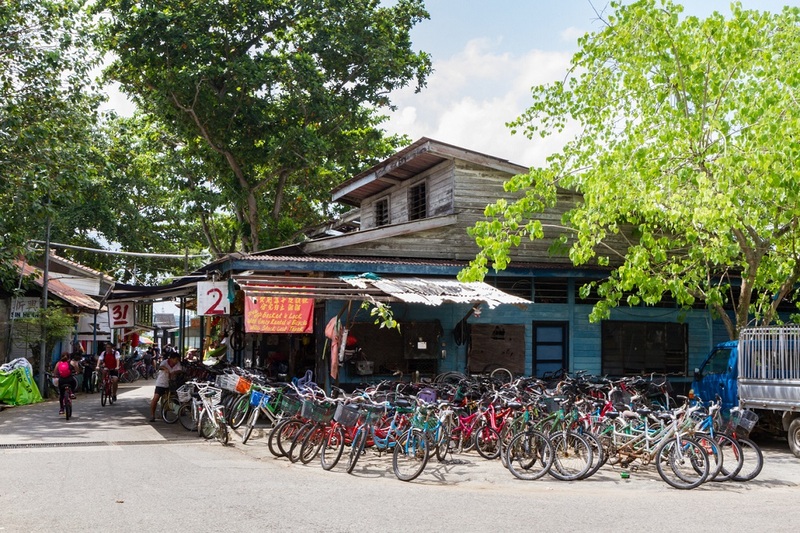 Pulau Ubin might mostly be the last real ‘kampung’ (‘village’ in Malay) in Singapore. You may get used to the slow relaxed pace of life here and you may get used to not worrying about your problems here! The island no longer hosts the granite quarrying industry. The star attraction is the Chek Jawa Wetlands. The shoreline flats consist of coral reefs, which are home to extensive marine wildlife, such as sea hares, sea squirts, octopuses, starfish, sand dollars, sponges and cuttlefish. Accessibility to Pulau Ubin is easy – just a 10-minute bumboat ride from Changi Point Ferry Terminal. Contrast Shockers. The sharp contrast to the rest of the city, with low rise buildings and culture bursting out onto the street, is highly significant. Stepping onto the streets, the fragrant smells of traditional cuisine to the bold red and gold tones that run throughout the neighbourhood will leave a mark in your senses. The walk through the colourful Peranakan shop-houses and historical attractions makes for a beautiful stroll through the town. A visit to China Town means you can’t miss a visit to The Buddha Tooth Relic Temple. It is a remarkable four-story temple. At once you are bound to notice the stunning main hall with its high ceiling. The solid gold two-metre stupa on the fourth floor which is the place where the sacred relic is kept is an eye-turner! Continuing up to the roof, there is a pagoda that has a large prayer wheel which is believed to make wishes come true, like in any other place of worship. If you want a bargain in Singapore, head to Chinatown. Whether it is clothing, souvenirs, food or drinks, this is the shoppers’ haven. Chinatown MRT station is easily accessible from the main street. Asian to Indian to everything! A wide variety of food options are available on the Temple Street Food Market. Food is cheap. That should get you going. The passion with which Singaporeans eat and drink is only too well known. 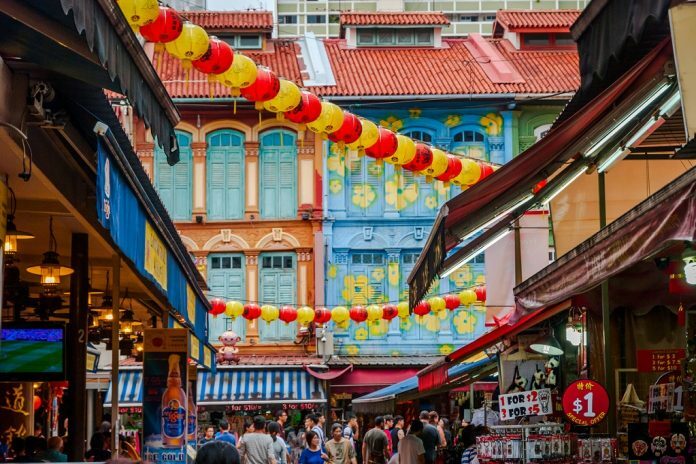 For a newbie at Singapore, deciding where and what to eat can be a decision filled confusion, but the real excitement will lie in finding a way through! Some of the most popular Singapore delicacies include Satay (Originated by the Malays), Roti Prata (Indian “pizza”), Fried Kway Tiao (fried black noodles), Hokkien Noodles (seafood noodle delight), Hainanese Chicken Rice, and some of the local desserts like Ice Kachang (flavoured ice with red bean and jelly), Cendol (coconut based dessert), Grass Jelly (a refreshing black jelly) and Tao Suan (bean in sticky paste, topped by fried dough). It is a Chinese pork ribs soup cooked in herbs like five spices, star anise, cinnamon, clove, fennel seeds, dang gui, pepper and garlic. Crabs that are cooked in thick tomato and chilli based gravy. The crab is covered completely with gravy, best eaten when dipped and soaked deep into it. First off – NOT CAKE! It is a favourite dish among many Singaporeans. Basically contains flour mixed with radish and fried with dark sauce, turnip and sweet sauce. This is topped off with spring onions giving ‘black’ version of the dish, or fried without the sweet sauce giving ‘white’ version of the same. Mainly consists of bite-sized pieces of meat grilled on skewers. They come in chicken, mutton, pork, and beef. Served with a flavourful spicy peanut sauce toppings include slices of cucumbers and onions. So here are the 12 why’s, what’s and how’s of Singapore! Let us know if you have anything to add about this wonderful country in the comments below.